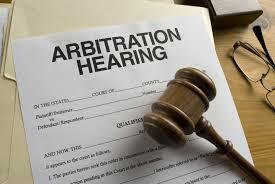 One factor parties must consider in deciding to arbitrate is the cost of arbitration. Arbitrators do not work for free. While the New York State Court system requires certain filing fees in commencing an action, the litigants are not required to pay the Judges on an hourly basis to hear their case. Independent arbitrators will charge on an hourly basis, with the parties to the dispute usually splitting the cost of the arbitration. Often, this cost will be greater than the cost of filing a civil litigation in the appropriate Court. Another aspect of choosing arbitration is the time factor involved. If the parties agree to arbitrate, rather than litigating in the Court system, in certain actions, there will be delay in deciding the action. This is especially true in landlord-tenant matters. The New York Court system allows landlord-tenant matters to be brought in an expedited manner. For example, when a Notice of Petition and Petition for eviction is served by a landlord, the Court will order an appearance between six and twelve days after service of the petition. This allows the case to be heard and resolved relatively quickly. If a lease contains a mandatory arbitration clause, the landlord is disadvantaged in that he cannot bring an action in Landlord-Tenant Court. Instead of a hearing being scheduled for six to twelve days after commencement, an arbitration hearing may take several months to be scheduled, depending on the availability of the arbitrator. The arbitrator may then take several weeks, or even months, to issue a decision. Even if the arbitration decision favors the landlord, the landlord still has to move to confirm the award in the appropriate Court. For this reason, we do not recommend arbitration for landlords in this context. Weiss & Weiss has experience resolving all disputes through the arbitration process, and welcomes all inquiries relating to such contractual matters, including residential and commercial leases.